Prior to attending Merage, Joy was a software developer for 3.5 years contracting to the Department of Defense. During this time she developed C++ based telecommunications and monitoring software which was used by the US Navy and international partners. Prior this she spent time as a QA Test engineer for EMC, developing automated test scripts for VMware and other EMC products. Joy received her B.S. in electrical engineering from the UCI Henry Samueli School of Engineering. In addition to being an Ambassador of the Merage program, Joy is also the current Merage Student Association President. This summer Joy will be interning at Verizon Digital Media Services, as a Software Product Management Intern. There she will be working on products that support 7% of all global internet traffic. Joy is looking forward to having a hand in the only end-to-end platform that can prepare, deliver, display and monetize online streamed content. Michelle is a first year FEMBA student and comes from an academic background. 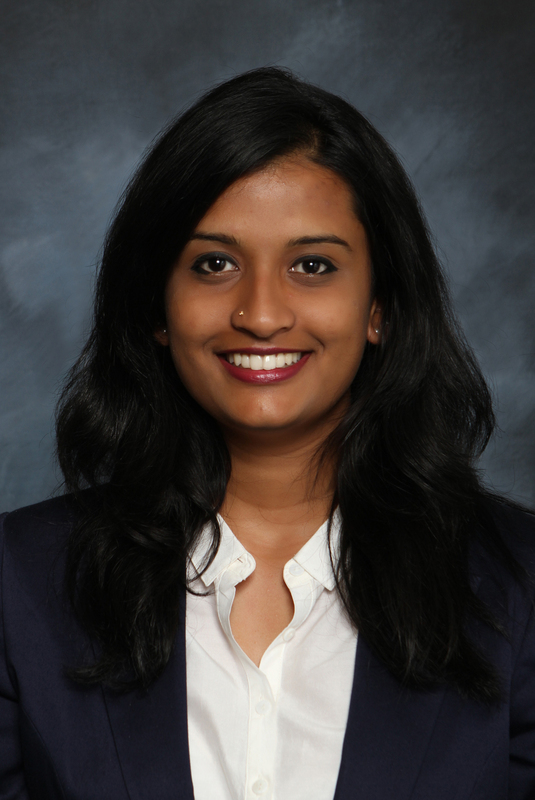 She chose to obtain an MBA in order to explore her love of numbers and the story they tell. Michelle graduated from Texas A&M in 2007 with a BS in Recreation, Park and Tourism Sciences - Business Management and a minor in Outdoor Education/Leadership. When Michelle is not working or studying you can find her training for her next triathlon and traveling whenever she can. 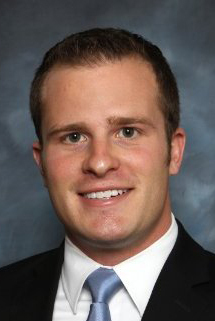 Jeff is a first year, Full-Time MBA candidate focusing on finance and consulting. He was born and raised in Las Vegas, Nevada and graduated from the University of Nevada, Las Vegas with a Bachelor’s degree in Accounting. 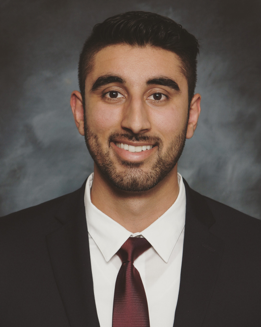 After graduating, he participated in MGM Resorts International’s Management Associate Program for a year, rotating throughout the various finance and accounting-related functions throughout the company. Upon completion of the program, he worked as a senior financial analyst for The Mirage Hotel and Casino, primarily focusing on the Hotel and Food and Beverage divisions of the property. In his free time, Jeff enjoys reading, going to the gym, listening to music, and watching any and all sporting events, primarily hockey which is his favorite sport. Garrett is an MS Biotechnology Management candidate for the class of 2019. 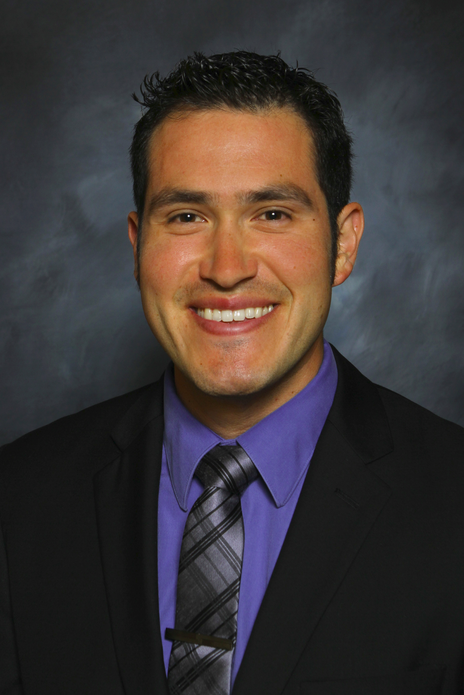 Garrett is from Riverside, California and earned his bachelor’s degree in biology from UC Santa Barbara. 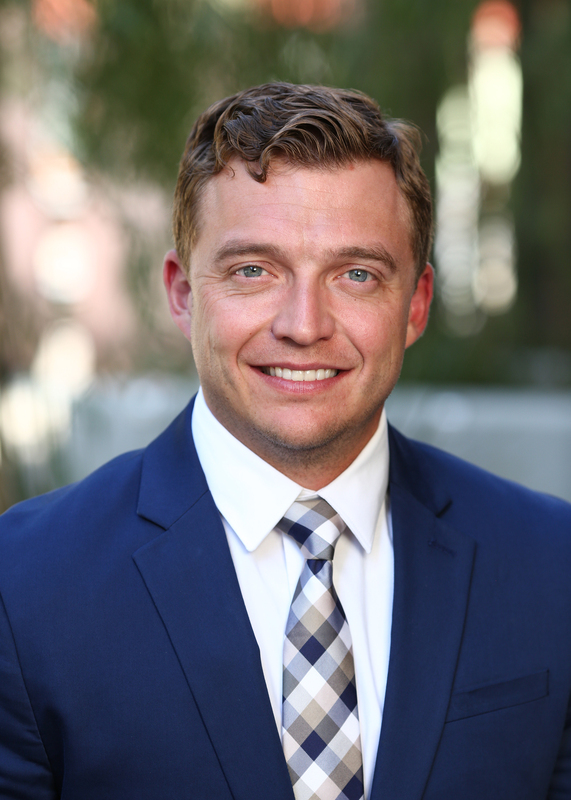 Prior to his enrollment at UC Irvine, Garrett was a project manager at the Bay Area Tutoring Association and was responsible for launching the Tutor Certification Training Program. Garrett is focused on marketing and hopes to merge his technical background in science research with his management skills to become a marketing manager at a biotech company. Garrett has trained for six years in different Ballroom/Latin dancing styles and currently performs with the Rhythmic Fusion dancing company on their Bachata Performance Team. 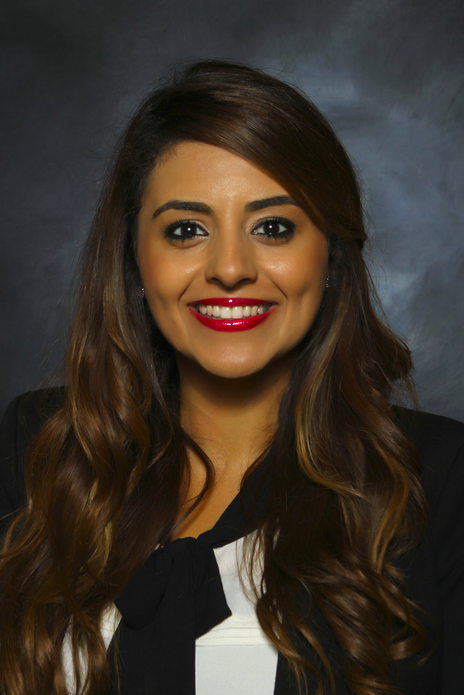 Praya is a first year Full-Time MBA Candidate and Faculty Fellow focusing on Finance. 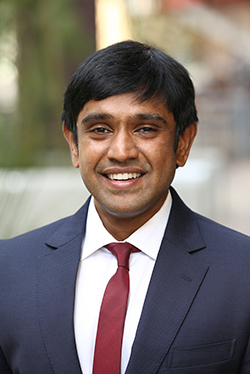 Prior to coming to UCI, Praya worked at Kerry Inc, a multinational food and beverage manufacturer, where he has three years of experience in production capacity modeling, demand forecasting, supply chain analytics, and project management. 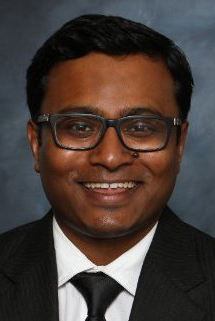 He is leveraging his Merage MBA experience to transition to corporate finance. He earned his bachelor’s degree in Industrial Engineering and Economics from the University of Wisconsin-Madison. Born and raised in Jakarta, Indonesia, he enjoys playing basketball, cooking, and hanging out with friends. Sam is a 2019 Full Time MBA student at The Paul Merage School of Business. Sam completed his Bachelors in the Science of Communication at Ohio University in Athens, Ohio. Sam served as an Army Engineer Officer for four years, completing one tour of duty in Afghanistan. He worked as a Sales, Profit and Operations Coach for Burger King Inc. and in the public sector as the Communications Director for Ohio’s Adjutant General. 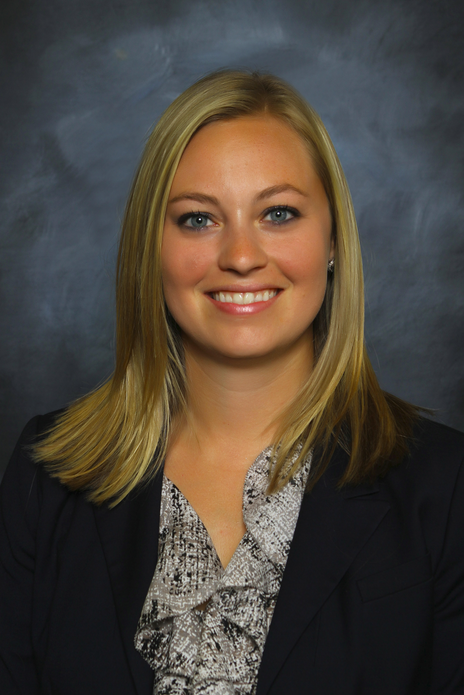 After completing the MBA program, Sam plans to work in strategy consulting. Sam enjoys cycling, backpacking and camping. 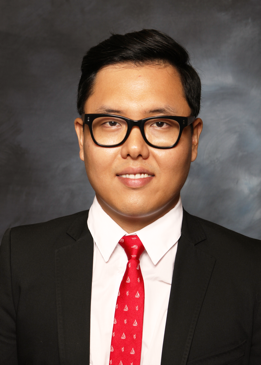 Eugene is a 2019 Full-Time MBA student at The Paul Merage School of Business. Eugene spent the past decade working in the entertainment industry as a production manager. During his journey, he worked for over 100 different acts across 10 different countries. Ahn is currently focused on Marketing and Strategy in the Entertainment or Technology industry. 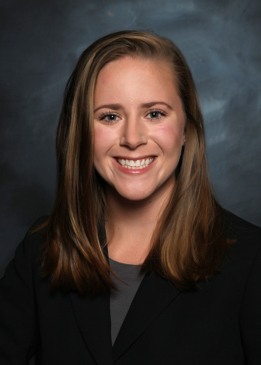 Katherine was born and raised in Los Angeles, California, and is a member of the 2019 Full Time MBA class. She previously worked at a fine art auction house as an accountant, and is now seeking to build on her existing quantitative skills to pursue a career in data analytics. When she isn’t working, Katherine enjoys art, film, and improv comedy. Swamy is a full time MBA student UC Irvine. Originally from India, he graduated with bachelors in Computer Science and Engineering at PSG college of Technology. He then pursued his master degree in Manufacturing and Mechanical Systems Integration at Rochester Institute of Technology before working two years as Manager of Operations in a textile company. He transitioned into the electronics industry where he dealt with market research and customer relations. Swamy established his first real-estate startup providing luxury residential properties in India and successfully grew it into a multimillion dollar company. Vid is a 2019 Full-time MBA candidate. Prior to pursuing an MBA, Vid was working for his first and only employer till-date, Wipro Limited, for seven years as an IT Consultant. Vid is passionate about building great products which make an impact on the world. To further this passion, Vid is looking into Product Management roles post an MBA. Vid is an avid musician and can play six musical instruments. 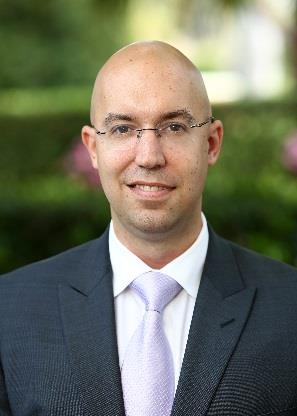 Jonathan is a Fully Employed MBA Candidate with a background in Supply Chain Management. He earned his Bachelor’s of Science in Business Administration with a specialization in Operations Management from The Ohio State University. Following his graduation, Jonathan joined the Goodyear Tire and Rubber Company where he impacted the organization by improving customer service while reducing annual costs by $1,750,000. His proudest professional achievement was when he was invited to join the CEO’s Associate Roundtable as one of 12 associates for a open discussion with the CEO of Goodyear. 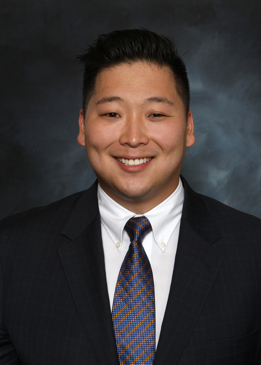 Jonathan returned home to Orange County where he is currently employed by Hyundai Mobis as a SCM Network Control Analyst while earning his MBA with a focus in Strategy and Organization & Management. Laksheeta is a first year M.S. Biotechnology Management candidate. She completed her undergraduate degree in Biotechnology from Mumbai, India in June 2017. 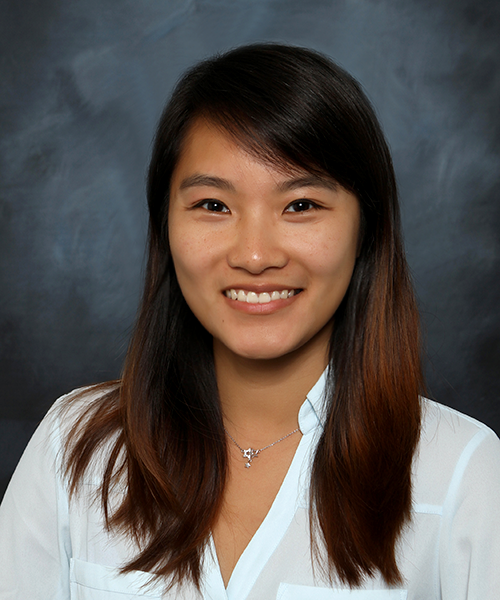 She decided to join UCI right after her degree completion to learn and understand more about the organizational aspect of the biotechnology industries. Primarily interested in the Healthcare industry, she hopes that she can secure a position in a Healthcare company and give back to society in any way possible. As the VP of ISR, she hopes that she can help every student fall in love with UCI the way she has and make it their “Home away from home”! 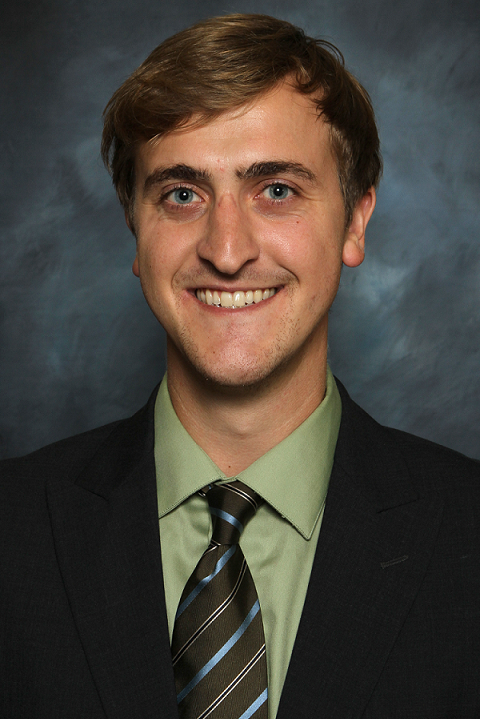 Aaron Concha is a first-year, Full-Time MBA candidate and Faculty Fellow focusing on marketing. 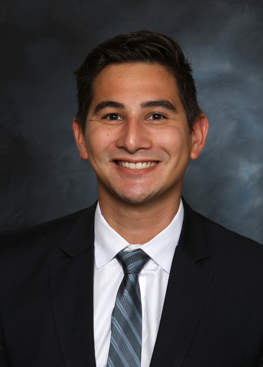 Aaron was born and raised in the Greater Los Angeles Area and graduated from Whittier College with a bachelor of arts in psychology and a minor in chemistry. Immediately after graduation, Aaron joined the Army and served four years as a Health Care Specialist. After completing his service, he applied the operational and leadership skills he had acquired in the Army to the real estate industry, where he worked as a property manager. Aaron enjoys the outdoors and relaxing with his dogs on the weekend. 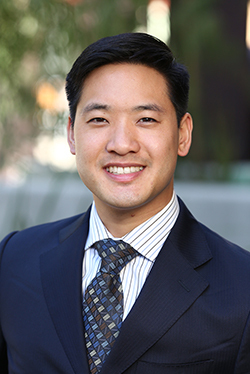 Brandon is a Full-Time MBA candidate from Orange County, California. He earned his bachelor’s degree in psychology from UC Irvine and served in the United States Air Force for eight years as a communications specialist with roles in more than six countries. Brandon is focused on strategy, operations, and general management, and hopes to apply his technical skills and MBA experience to a career in the tech sector. Brandon also spent 12 summers working as a Newport Beach ocean lifeguard and spends his free time swimming and enjoying the outdoors. 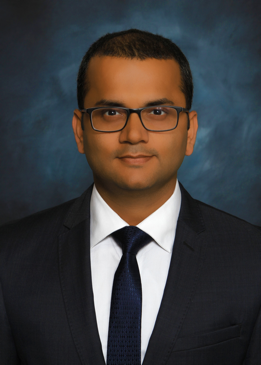 Inder is a Full-Time MBA candidate with a background in operations. He earned his Bachelor’s of Science in Biochemistry at University of the Pacific before starting his career as an operations manager for a Fortune 50 company, PepsiCo. In three years, Inder had three roles with increasing responsibility. In his most current role, he managed 25 direct reports and oversaw a $100 million annual budget. Inder’s biggest achievements as an operations manager were an $800,000 year-over-year improvement in financial performance and being awarded Operations Manager of the Year. 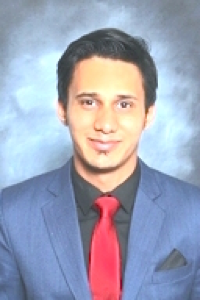 Inder is pursuing an MBA with a focus in strategy/finance. He aspires to lead an organization in a strategic role and will work this summer at Mattel as a supply chain intern. 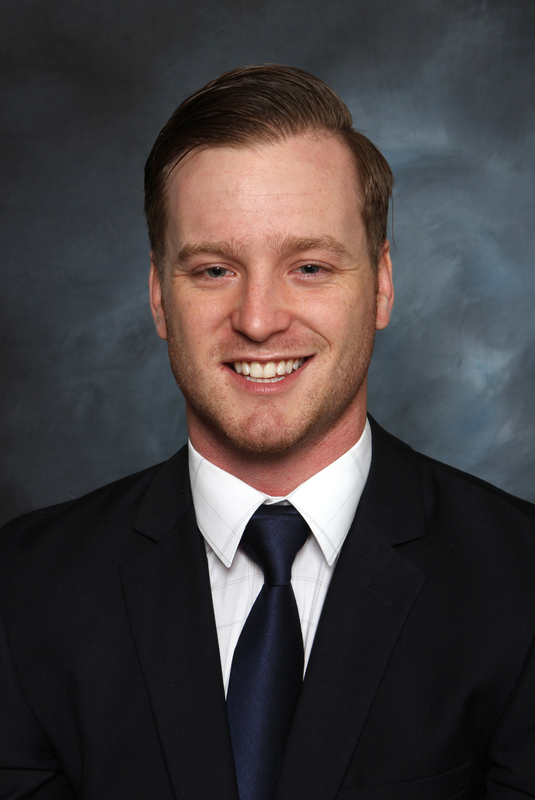 Scott is a Full-Time MBA candidate focusing on marketing. 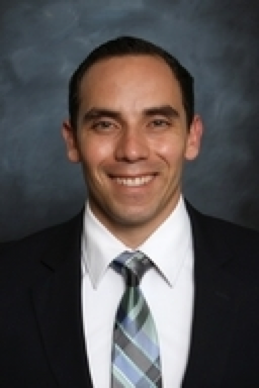 He is from Temecula, CA and attended the University of Arizona where he earned his bachelor’s degree in psychology. Scott’s professional background is in retail management and merchandising. He worked for Southern Glazer’s Wine & Spirits and Abercrombie & Fitch before returning to school to earn an MBA. In his spare time, Scott enjoys playing/watching basketball, traveling, reading, and spending time with friends and family. Born and raised in St. Louis, MO, Dan graduated from Boston College with a bachelor’s degree in psychology. 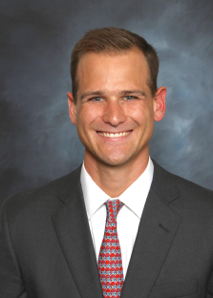 Dan worked most recently as a mutual fund wholesaler for global asset manager, Pioneer Investments. With Pioneer, Dan worked with financial advisors and private wealth teams throughout New York City, Long Island, Philadelphia and Baltimore. As a first year student at Merage, Dan’s foci are in corporate finance and strategy. In his free time, Dan loves music, surfing and golf. 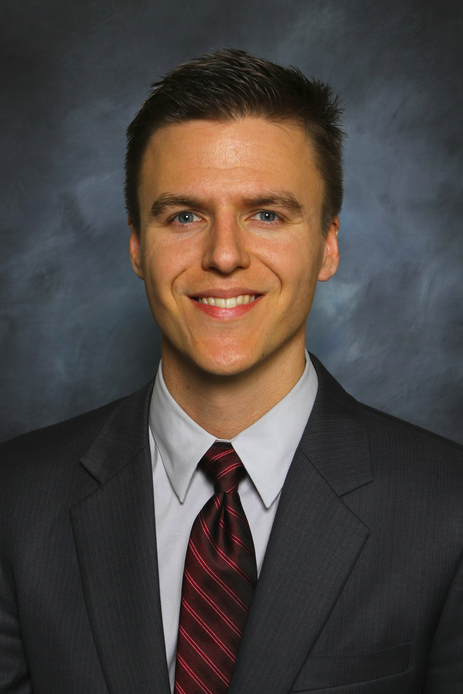 Michael Martin is a Full-Time MBA candidate and a Faculty Fellow. Originally from the Southeast, he grew up in Birmingham, Alabama, and earned his bachelor’s degree in commerce and business administration from the University of Alabama. He later served as a financial analyst and most recently as a portfolio manager for Greystone Ventures, a family office in Birmingham. It was through these roles that he developed his passion for investments. 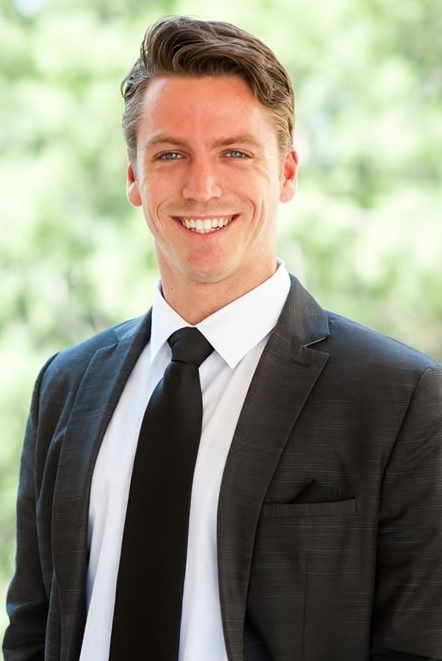 Michael is currently interning for Littlebanc Advisors, an Orange County-based private equity firm. He has a long-term goal of starting his own private equity firm, where business development will be key to its success. In his free time, he enjoys surfing and spending time outdoors with his wife Kendall and their labradoodle, Willow. Aishwarya Devareddy is an MS Biotechnology Management candidate, class of 2018. Originally from Bangalore, India, she earned her bachelor’s degree in biotechnology in Bangalore. Aishwarya now hopes to venture into the field of business. She recently interned with AstraZeneca, a pharmaceutical company, in the Quality Control and Assurance departments. Aishwarya has a strong passion for the life sciences field and hopes to contribute her best towards it. On another note, Aishwarya is a huge Coldplay fan, and spends her spare time reading and swimming. 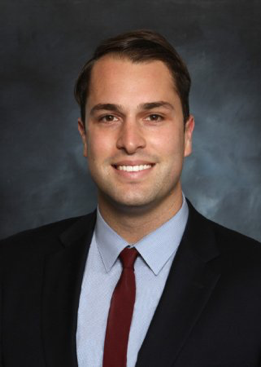 Robby is a first-year Full-Time MBA candidate who was born and raised in Orange County. 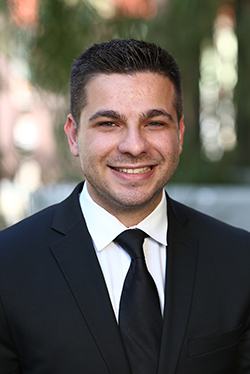 After attending UCLA as an undergraduate, he worked for Hyatt Hotels for more than four years, most recently at their flagship property, the Hyatt Regency Chicago, as a front office manager. At Merage, Robby is focused on general management studies. He will be interning at T-Mobile over the summer as part of their L2E (Leadership to Executive) MBA program. In his spare time Robby enjoys playing golf and softball, traveling and creating Spotify playlists to fit the mood for any situation. Sidhant is a Full-Time MBA student. He was born and raised in the foothills of the Himalayas, studied engineering as an undergraduate and worked for four years in Mumbai, India, in a leading telecom firm as a senior manager before starting business school. On a personal note, Sidhant is outgoing and enjoys meeting new people, likes staying fit, being outdoors and playing and watching sports. He has played basketball and club soccer at the national level and is working on developing his surf and ski skills to achieve pro status by the time he graduates. Blinded by the orgiastic green light, as Fitzgerald would say, Brian came to California in 2010 after graduating from HUFS in Seoul with a BA degree in English literature. After working seven part-time jobs, he joined a Korean bank where he managed corporate accounts totaling $270 million as a loan officer. There, he found great interest in financial statement analysis and decided to strengthen his analytic skills by attending the Merage School’s fully employed MBA program. What the future holds for Brian is unknown, but the boat beats on against the current, borne back ceaselessly into the past. 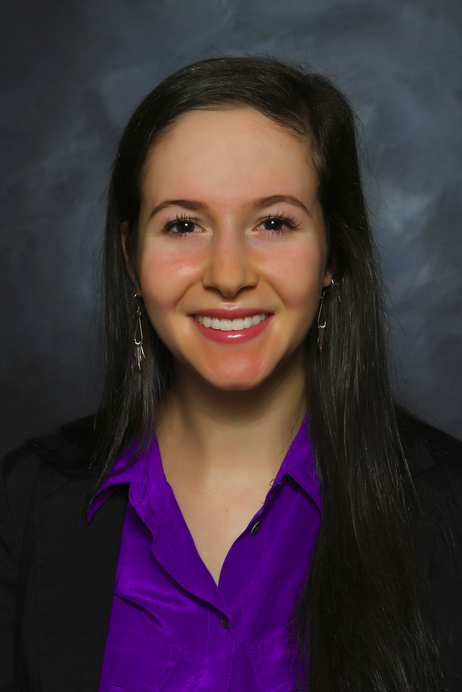 Sarah, a full-time journalist, is a first-year member of the Merage School Fully Employed MBA program. 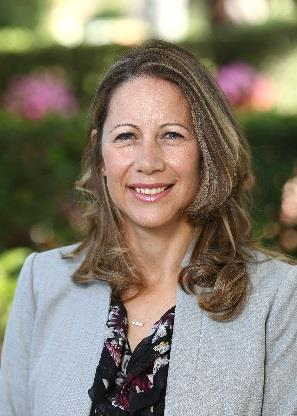 A graduate of UC San Diego, where she studied English and Spanish literature and played lacrosse, she has worked at daily newspapers throughout California, including the Orange County Register. She has authored and edited stories on subjects including city government, campaign finance, real estate, education, education, crime and the courts. 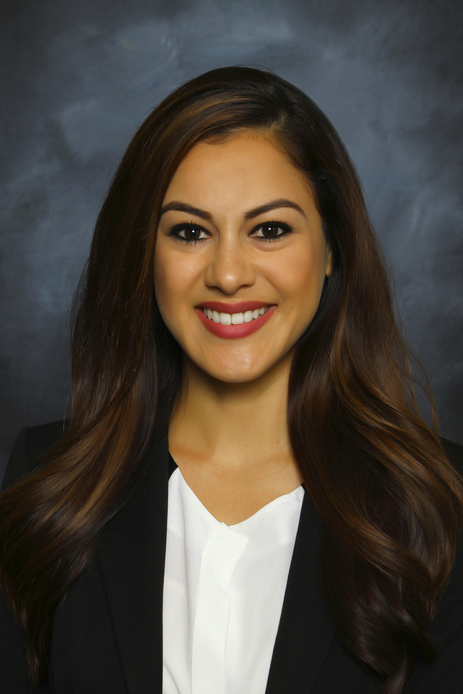 In 2016 she joined the San Diego Business Journal, a sister paper to the Irvine-based Orange County Business Journal, to cover banking and finance. Her beat includes San Diego’s nascent fintech scene; she also writes about other local startups and businesses. Sarah is pursuing an MBA to enhance her reporting and to ensure she has the business skills needed to help ensure the survival and success of the Fourth Estate. Christian Johnson, a local Orange County native, is honored to serve as President of the Merage Student Association. 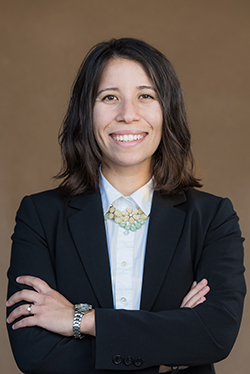 Christian is co-founder of Seed Consulting Group and President of SeedOC, a nonprofit that provides pro-bono consulting to environmental and public health organizations. Prior to joining Merage, Christian served as Director of Operations for PVTI Healthcare Consulting, principal consultant at BioFiber Solutions International, and co-founder of BrixClinic, a sustainable healthcare clinic start-up featured by the Clinton Global Initiative and Hult Prize as a Top 150 out of 10,000 worldwide social start-ups. Christian has delivered a TEDx talk, has been as a speaker at biotechnology conferences including BIO World Congress and the Pacific Rim, and has been honored by the Lord Mayor of Perth, Australia, for leadership development of Australian and American youth. Christian earned his B.S in Environmental Sciences from UCLA, and a MS in Global Medicine & Healthcare Management from USC. 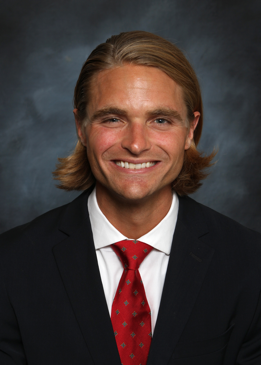 Brad West is a 1st year Full-Time MBA candidate and Faculty Fellow focusing on Finance and Technology. Before coming to Merage he spent 4 years at Enterprise Holdings, in both the Rent-A-Car and Truck Rental divisions. It was here that Brad honed his sales and general management experience, achieving numerous recognitions in all areas of the business including sales, customer service and profitability. 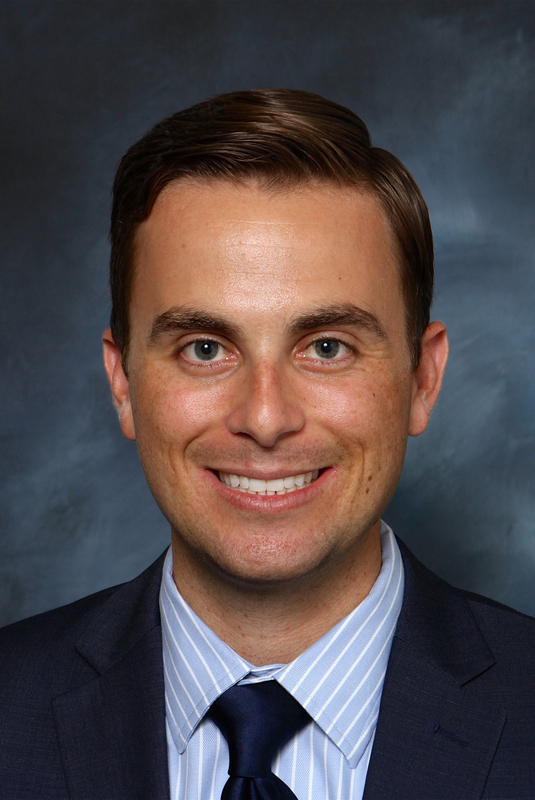 Brad’s passion to help firms maximize value through leveraging their unique set of assets is what drove him to UCI’s Paul Merage School of Business. He will be spending the summer as an intern at Deloitte in Technology Risk Advisory. In his free time Brad enjoys surfing, cycling, and spending time with his wife in beautiful Southern California! 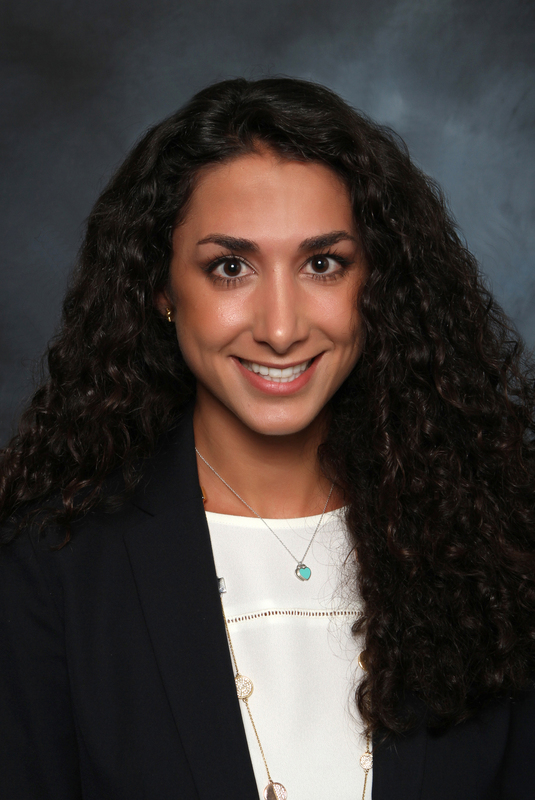 Laily Sharifzadeh is a first year Full-Time MBA candidate and Merage Fellow focusing on the Healthcare Industry. She graduated from University of California, Los Angeles with a Bachelor Degree in both Communications and Theater. 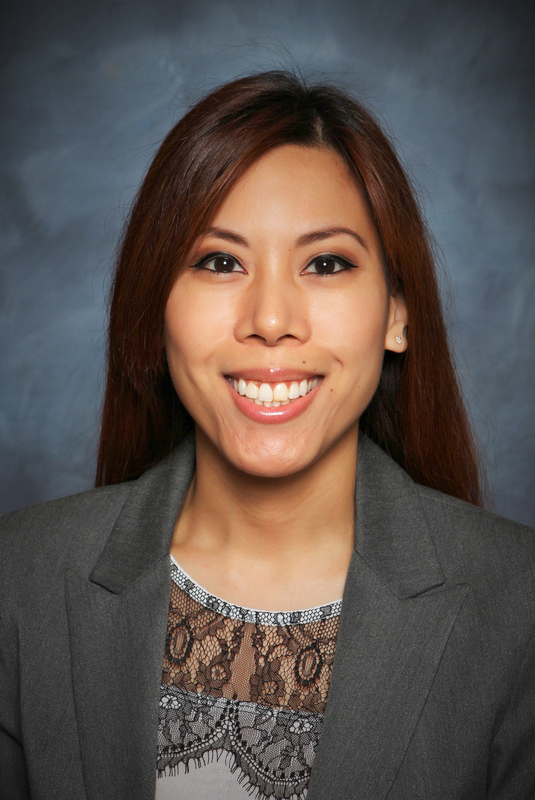 Prior to her Business School journey she worked at UCLA Health as an Administrative Specialist for the Patient Communication Center. 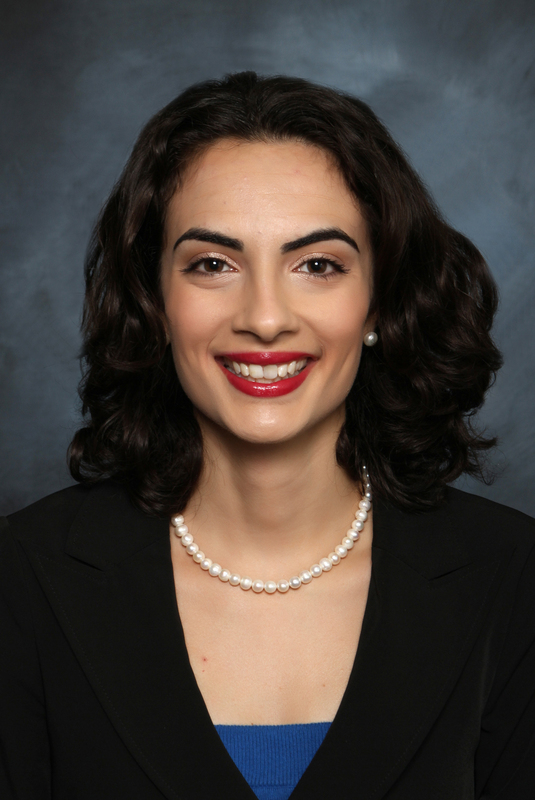 Laily is fluent in Farsi (Persian) and has a passion for service and leadership. Laily is currently the VP of Operations for Merage Student Association and Human Resources Association, as well as, VP of Alumni Relations for Merage Healthcare Association. 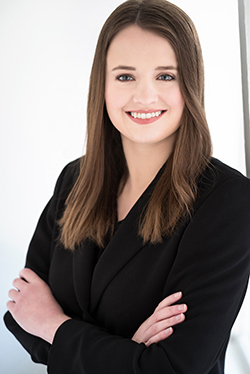 She is excited and passionate about the different organizations she is a part of, including SeedOC, which is a pro bono consulting group working with nonprofits. Laily is also thrilled to have been offered a Summer Internship with Kaiser’s Health Innovation Studio. Lauren was born in Southern California and raised in South Carolina. She first became an Anteater as an undergraduate where she completed her Bachelor’s degree in Film and Media Studies. After pursuing a career in Entertainment for over 6 years, Lauren transitioned into the tech space. A FEMBA 18’ student, she currently works at Hart as a Product Engagement Engineer on the Product Team. Lauren loves to travel, meet new people and generally have an awesome time. John Saraka is a story-teller at heart, with a passion for consumer insights and strategic brand marketing. Prior to Merage, John worked at I.D.E.A., a creative marketing and branding agency in San Diego, where he specialized in social media analytics and content marketing. He also has experience working in sports media and enterprise software spaces. John spent his summer in San Francisco at Gap Inc., where he was part of a strategy team responsible for pushing transformational change efforts throughout the portfolio of Gap Inc. brands. In his free time, John likes to lift heavy objects and put them back down again, read, write and be overly critical about the movies he watches. Prior to attending the Paul Merage School of Business, Ryan played professional baseball after being drafted by the Milwaukee Brewers organization. He later took on roles in the mortgage and insurance industries. At Bank of America, he analyzed and resolved various issues on a portfolio of loans to mitigate risk and reduce financial losses for the bank and its clients. 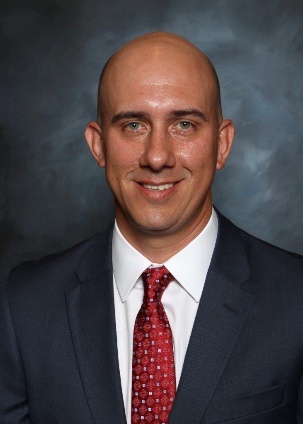 In the insurance industry, he worked as a Risk Management Advisor where he created, presented, and implemented strategies to improve clients' financial and protection positions. Jennifer is a Full-Time MBA student. Originally from the East Coast, she grew up in New Jersey and received her undergraduate degree from New York University. After majoring in Music Business, with a minor in Mathematics, she stayed in New York City to work in the music industry. Most recently, she was an International Data Analyst at a performance rights organization. In her free time, she enjoys trying new cuisines, singing at any time and Hawaiian hula. 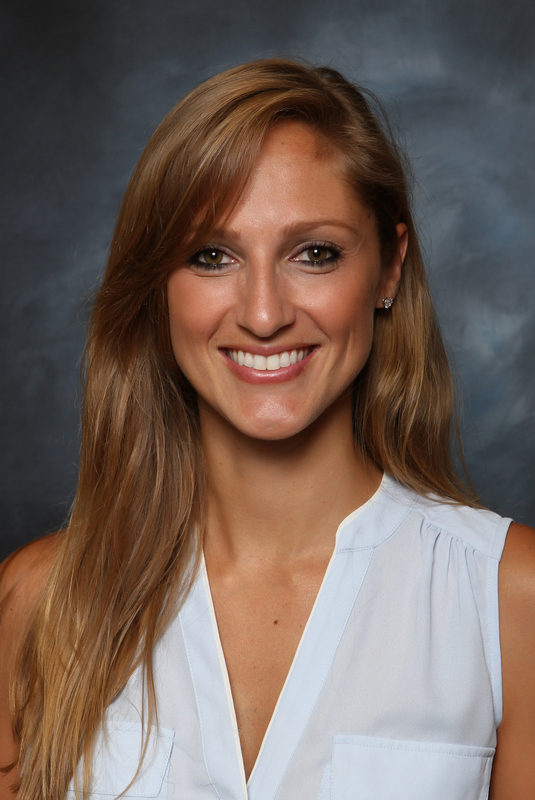 Jennifer is a second year Fully Employed MBA student originally from San Diego, CA. She completed her Bachelor's degree in Psychology at the University of California, Riverside where she had a special interest in Industrial and Organizational Behavior. She currently works as a Reporting Analyst and has a combined 10 years of Retail Banking and Operations experience at MUFG Union Bank, N.A. Jennifer also serves as VP Finance for MBA Exchange, a peer to peer networking and knowledge sharing club. After graduation, Jennifer's goal is to transition into the Marketing Industry focusing on Consumer Insights. In her spare time Jennifer enjoys traveling, reading, and spending time with family and friends. The above principle guides Sudip in life. Sudip is a Full Time MBA candidate from the class of 2017. He is from Odisha, India. He has a Bachelor of Engineering degree in Electronics & Telecommunication. He worked with several US-based fortune 500 clients through top IT Services companies from India. As part of the MSA board, Sudip hopes to utilize technology to integrate students, alums and future students with the Merage community. 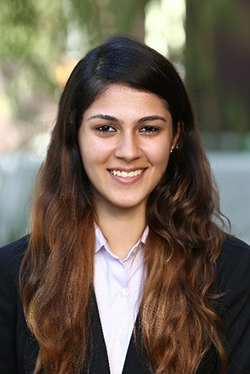 Originally from the Washington D.C. area, Bita is a FEMBA 18 student who escaped the cold and snow to attend UCI for her BA in Business Economics. 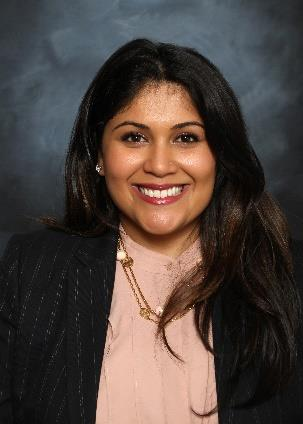 After starting her career in finance at Merrill Lynch, she fell into technology and has grown within software as a Sales Operations Manager with an emphasis on process improvement and business systems integration. Bita enjoys the fun exercise classes at the UCI ARC, stand up comedy, and a good ol' movie night at home with her family. Punya is currently pursuing her Masters in Biotechnology Management at the Merage School of Business as well as Ayala School of Biological Sciences. 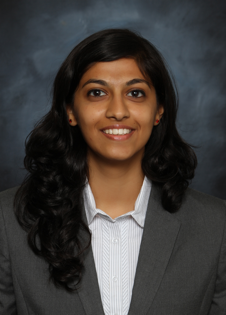 She is from Bangalore, India and has an undergraduate engineering degree in Biotechnology. She is excited about this unique Graduate program offered at UCI and moving forward, she wants to explore the business aspects of biotechnology. Outside the classroom, Punya is trained in vocal classical music, loves playing badminton, and is waiting for an opportunity to sky-dive! Originally from Pennsylvania, Kevin attended the University of Pittsburgh where he earned a B.A. in both History and Film in 2009. Upon graduation, Kevin joined the U.S. Army as an Intelligence Officer and was stationed in Colorado. Kevin deployed to both Iraq and Afghanistan during his time in the military and left as a Captain in 2014 to pursue his MBA. Kevin spent his summer as a member of Liberty Mutual's Field Manager Development Program in Chicago. Kevin's interests include sports, movies, and skiing the paltry slopes of Southern California until he can return to Colorado. 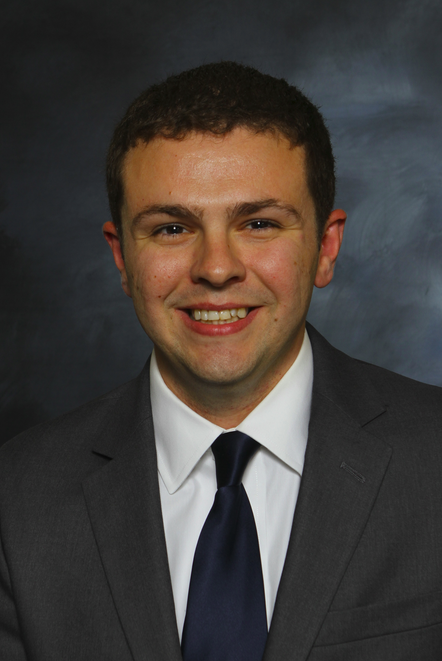 Zack is a FTMBA in the class of 2016, with a background in IT analytics and marketing. As Executive Vice President, Zack hopes to foster a strong sense student community through a solid student governing body. In addition, he hopes to create a sense of structure and continuity which will lay a strong foundation for future Merage students. Nicholas is a full time MBA student specializing in Marketing and Entrepreneurship who is driven towards sustainable business and efficiency. 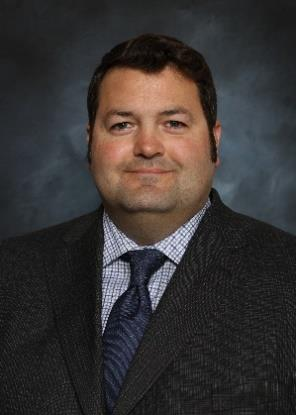 He holds a Bachelor of Science in Nuclear Engineering Technology and prior to coming to Merage, he spend 9 years in the U.S. Navy as a nuclear propulsion plant manager and nuclear instructor. In his free time he loves to run, play sports, read, and spend time with his family. 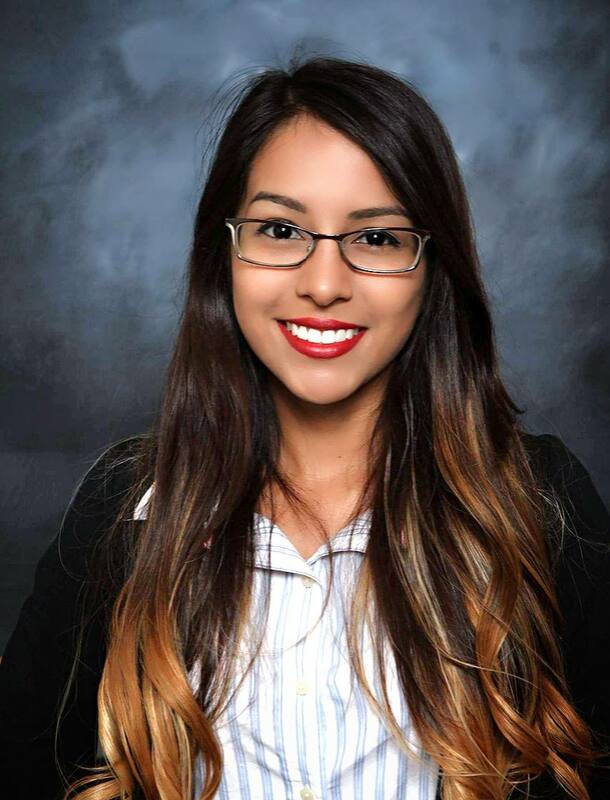 A Southern California native, Irene completed her undergraduate degree from California State University, Fullerton with a BA in Communications and minor in Political Science. In her most recent position as a Marketing Associate in the new products division for a homeopathic, over-the-counter medicine company, Irene thrived on finding consumer insights that contributed to new product launches and growth in multiple categories. At Merage, she is focusing on Marketing and Strategy and is pursuing a career in Brand Management in the consumer packaged goods industry. She currently also serves as VP of Marketing for Merage Women in Business. Outside of school and work, she enjoys physical activities such as kickboxing, Cardio Barre, or hiking. She likes to balance her (mostly) healthy lifestyle with red wine, dark chocolate, and pizza! Brianne is in her second year of the Fully Employed MBA program. She currently works at Lockton Insurance Brokers as an Account Manager in the Surety Bonds Department. Brianne also completed her undergraduate studies from the University of California, Irvine with a degree in Social Ecology. Brianne enjoys reading, spending time with family and friends and watching Packers football. Hailing from Portland, Oregon, Ben is a finance professional with 6 years of experience in the financial services industry with expertise in equity research, bank operations, investments, and business development. He earned his Bachelor in music from the College of Idaho and after passing the CFA Level I exam, worked in investment sales and operations as a licensed personal banker at JPMorgan Chase. Ben's interests range from hiking, fishing, and brewing beer to building computers and online gaming. 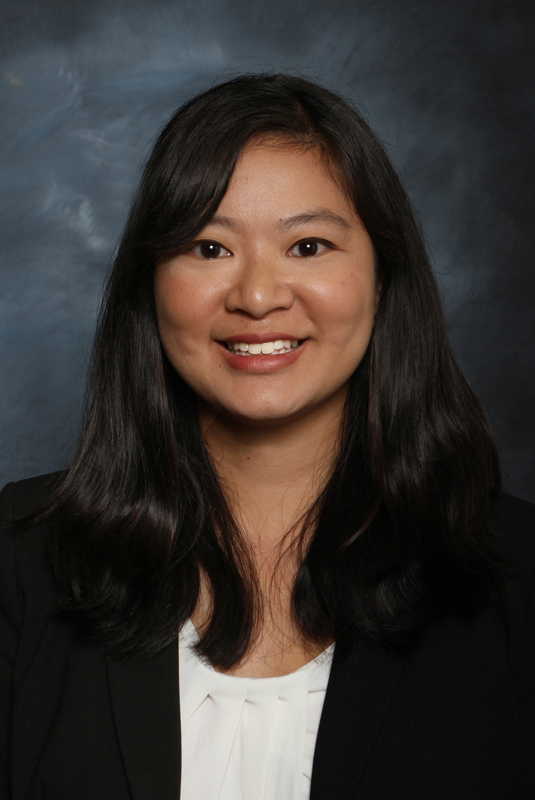 Anne is a Full Time MBA student, focusing on Marketing. 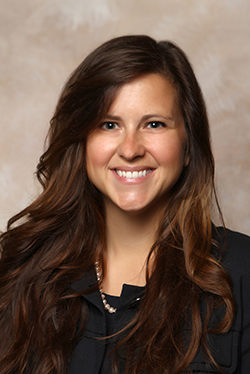 She is from Wichita, Kansas and received her undergraduate degree in Entrepreneurship from Wichita State University. Her prior work experience includes analytics in the Consumer Goods industry. Outside of work and school, Anne loves playing volleyball, cooking and spending time at the beach. A Midwesterner at heart, Jon attended Purdue University for his undergraduate degrees in Chemistry and German. He brings three years of work as a materials engineer in the automotive industry to Merage, with the bulk of that time being spent at Tesla Motors. Upon graduating from the Full-Time program in 2016, Jon is transitioning to the consumer electronics and technology industry, where he will focus on product management. Over the summer, Jon worked at Apple in their retail technology department. His interests include running, ultimate Frisbee, and online gaming. Art was born and raised in Downey, CA in Los Angeles County. 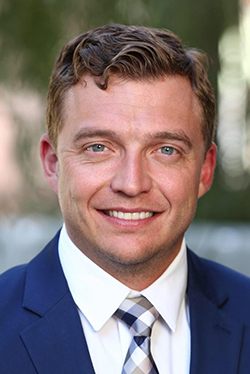 He completed his Bachelor’s degree at California State University, Long Beach where he majored in Political Science with a concentration in Law, Politics, and Policy. 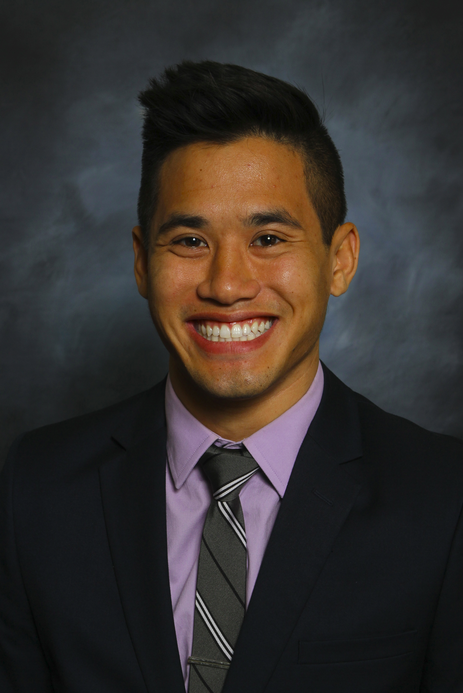 He currently works for The Walt Disney Company as a Safety Administration Specialist and is a FEMBA ‘17A currently pursuing his MBA and planning to study in a concentration of Finance. After graduation, Art hopes to get into a Finance role, and in the future, hopes to pursue a career as a civil servant. 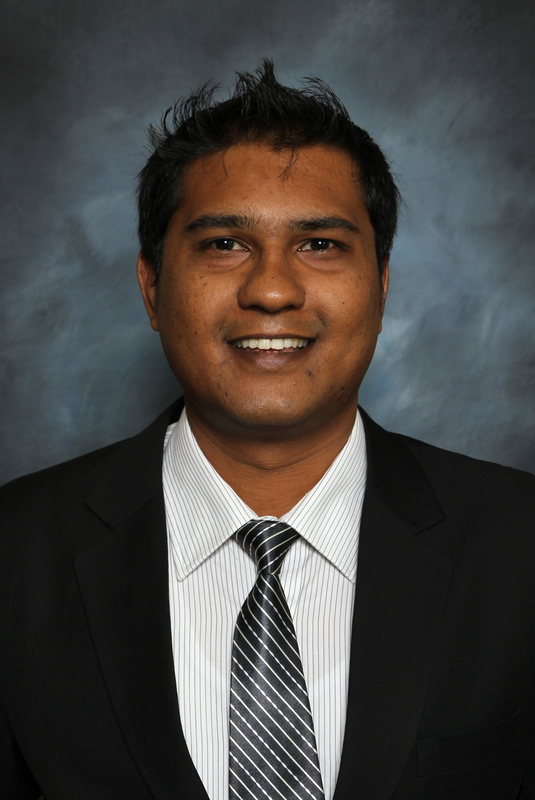 Sridhar (a.k.a Sammy) is a Full Time MBA candidate from the class of 2016. He is originally from India and has an undergraduate degree in Electronics & Communication Engineering. Prior to his MBA, he worked for an IT Services company for over six years across multiple locations in India and Europe. He loves travelling and learning about new and diverse cultures and has visited over 25 countries so far which makes him enjoy working as VP International Student Relations for Merage Student Association. The Associated Graduate Students is the recognized graduate student association at the University of California, Irvine. We represent nearly 3,100 graduate and professional students to the campus and system wide administration on a number of issues. The AGS is governed by a President, four Vice Presidents elected by the Council, and a Council of representatives elected by each academic unit. The Council meets every two weeks. Work with the VPs Technology to store important Merage Student Association files on the network for access to the current officers. Prepare, post and maintain a Master Calendar of Merage Student Association, The Paul Merage School of Business, UCI, AGS and other activities of interest to the members of the Association. The class representative is responsible for positive and constructive communication between the MSA and the students in his/her assigned section (and the student body as a whole).